Tragic news today for the Silicon Valley community. Rajeev Motwani, a prominent Silicon Valley angel investor and the Stanford professor perhaps best known for serving as the advisor for Larry Page and Sergey Brin during the formative years of Google, has passed away. 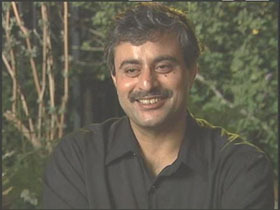 Rajeev was an ardent supporter of Silicon Valley startups, investing and mentoring many of them while continuing his research at Stanford University. With investments in companies that included PayPal and Google, he saw an overwhelming amount of success. And through it all he continued to give back to the community though his mentorship, investments, and his time at Stanford, where he continued to teach as recently as last semester. We owe Rajeev a debt of gratitude here at TechCrunch, as he was kind enough to speak at a number of our events and was genuinely supportive of our efforts. Om Malik has shared his thoughts on his old friend, writing that there wasn’t a startup that Rajeev didn’t love on his quest for the unknown. Our deepest sympathies go out to Rajeev’s family. He will be sorely missed.